We'd like to introduce you to our newest Guest Reviewer, Mike Robbins! You can catch his photo and bio below the review -- let's give him a warm GCR welcome!! 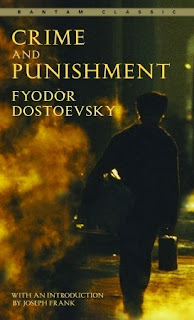 One of the most influential novels of the nineteenth century, Fyodor Dostoevsky’s Crime and Punishment tells the tragic story of Raskolnikov—a talented former student whose warped philosophical outlook drives him to commit murder. Surprised by his sense of guilt and terrified of the consequences of his actions, Raskolnikov wanders through the slums of pre-revolutionary St. Petersburg trying to escape the ever-suspicious Porfiry, the official investigating the crime. The most striking thing about reading Crime and Punishment is feeling empathy for a murderer. The entire novel revolves around the main character, Raskolnikov’s, murder of two women. The novel begins in the humid, dirty, and dusty Petersburg summer as Raskolnikov has recently dropped out of college and is filled with a desire, like most idealistic people, to accomplish something great, something that no one has ever thought to do before. He formulates a plan while lying on his couch: if someone is a burden to society and only causes others to suffer, isn’t it just for someone to kill that person and use their fortune to bring joy and aid to those in need? Much of the book takes place with Raskolnikov lying incapacitated on his couch trying to convince himself that he is this capable someone. Reading Crime and Punishment is as intense as it sounds. The novel remains in one mood almost the entire time like Chopin’s nocturnes. And although it’s a deep psychological case study of murder and can be overly wordy, the novel reads like a crime noir set in the underbelly of a city where you meet a motley and unforgettable cast of characters. My favorite is the deductive detective Porfiry Petrovitch whose word-games toy with Raskolnikov’s guilt like a cat batting around a mouse There’s, also, funny nineteenth century Russian mannerisms like shaking your fist in the air at someone who has offended you or gnashing your teeth when something is unbearable. Dostoevsky is not for everyone. If you’re looking for a light read, this is not it. But for those willing to take on the challenge, Crime and Punishment, will, like all great literature, leave you a different person by the end. The pay-off is similar to tackling Shakespeare in college: it’s hard, but you’ll never forget it. And there’s a plus with Dostoevsky: Crime and Punishment is much easier to read. No obscure old-English here. You can pick up a modern translation at nearly every bookstore anywhere. 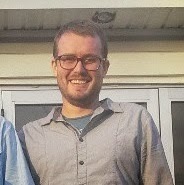 Mike Robbins is currently an Americorps VISTA volunteer in New Haven, CT. Mike has always enjoyed books across many genres. His favorite books growing up were Jurassic Park and Timeline by Michael Crichton and The Catcher in the Rye by J.D. Salinger. He finds books to be a place for people to connect and learn privately about themselves and the world. Novels help to slow down and make navigable increasingly fast-paced lives. When he's not volunteering at a school or tackling a new author, he likes to skateboard, swim, and play basketball. He's a New York Knicks fan even though they don't have the best management strategies! He would like to thank everyone at the Good Choice Reading blog for including him and his book reviews on their site. Happy reading!